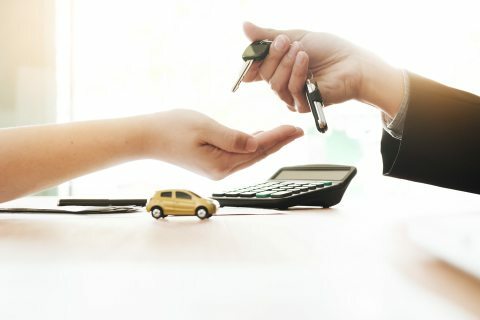 How GrabHitch can work for you! Driving to work and have empty seats in the car to spare? Why not network along the way and make some extra money! 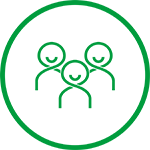 With GrabHitch, you can now meet new people and recover some of your petrol costs while commuting to and from work, without any additional hassle! There is absolutely no obligation to do rides on a regular basis because you’re NOT a taxi driver or car service! Click on the BLUE Drive Icon to sign up as a driver. Upload photos of your driving licence (front and back) and a selfie. 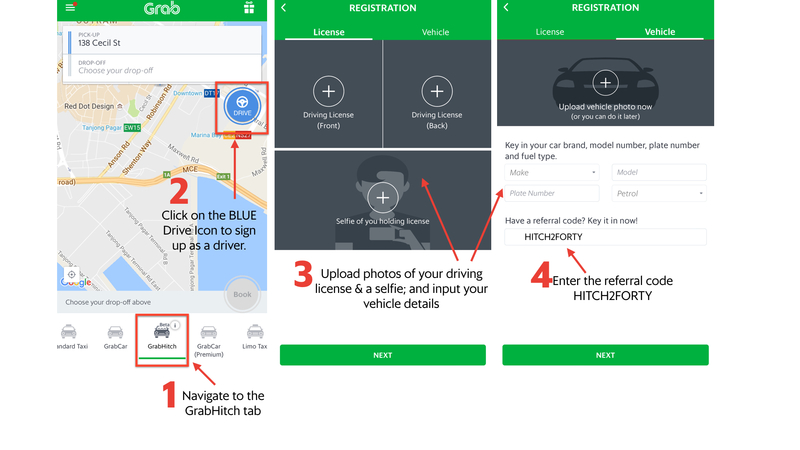 Input your vehicle details and you MUST enter the referral code HITCH2FORTY to get your $40 credit after you have provided your first 2 GrabHitch rides as a GrabHitch driver! This incentive is only eligible for new drivers who sign up and successfully complete 2 Hitch rides as a driver before 28 February 2017. The processing of the $40 credit incentive will only be conducted after the incentive period has ended (post-28 February 2017).